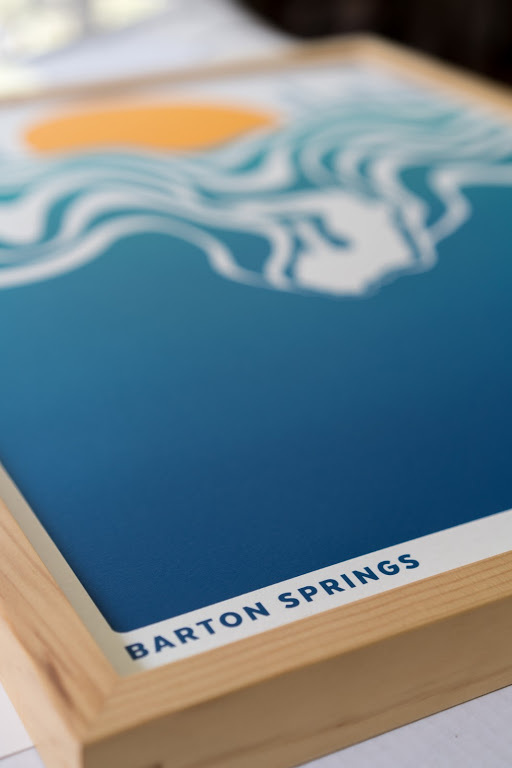 Signed print by Austin artist Mishka Westell as an ode to the magical waters of Barton Springs. Screen printed by hand at East Austin's Bearded Lady studio on Index Off White 100Lb cover stock. Limited edition of 150 prints, 18"x 24". 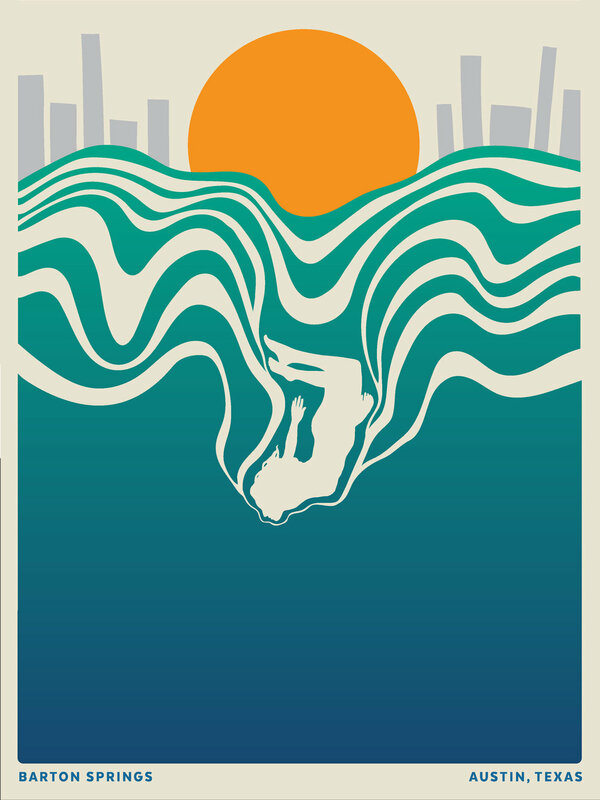 Mishka Westell is an artist and designer living in Austin, Texas. 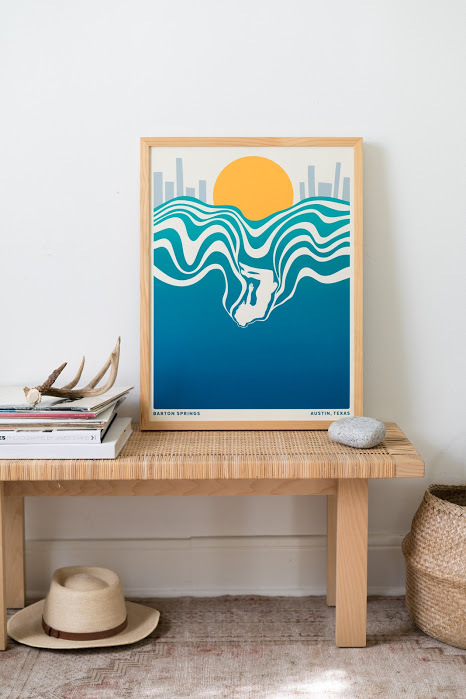 She especially loves creating art for music — record covers, screen printed concert posters and T-shirts — but also does freelance illustration and design work for companies around the world, and occasionally finds time for block printing, etching and painting.